*Everything Is AK-OK* At The Ambani Wedding Now That Sonam Kapoor Is Here! Name someone who makes couture look better than Sonam Kapoor. We will give you a minute. Anyone? We thought so too. 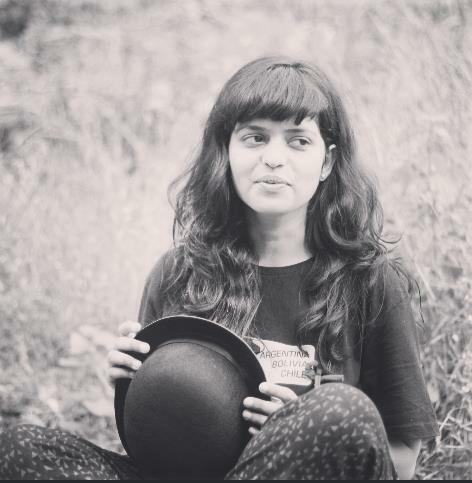 Stepping out and knocking the winds out of all us fashion enthusiasts is our very own B-Town sartorialist. And wow. The outfit of her choice? A custom-made Anamika Khanna lehenga, in a tone of pink that would have made heads turn at the Isha Ambani and Anand Piramal wedding no doubt. And since Sonam does even couture with an affinity towards EXTRA, this isn't just some run-of-the-mill pick. Nope. If you need a proof of what we are saying here, look for yourselves, and look hard. 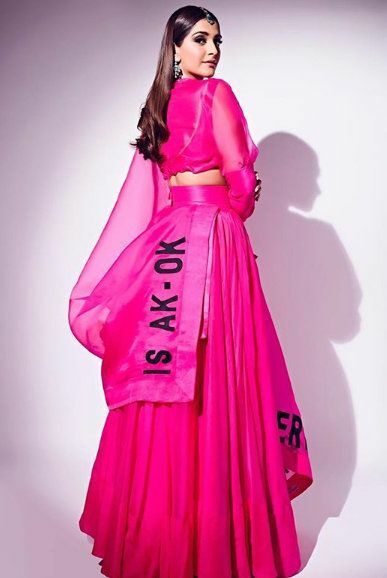 Sonam's OOTD is a customised piece that spells 'Everything is AK-OK', the AK, of course, being the initials of Anamika Khanna, the designer behind her fabulous attire. And if you thought you could miss it, worry not, for it is visible in a bold type that is seemingly tough to avoid. Not that we are complaining! And since Sonam is the one wearing it, it's only natural that her name appears on the outfit (which it does). With the dupatta tucked neatly into her manifold pleats, Sonam looks divine in her pink lehenga, a hue that never appeared better to us. Not just this, it pairs exquisitely with the blouse she chose to wear, one with gathered details on the sleeves. And, let's be onest, we expect no less from the reigning fashion queen of B-Town! On the jewellery front, Sonam can be seen wearing an intricate neckpiece along with earrings and a maangtika to match, as one does, from the Jaipur-based label Amrapali. The minimal makeup and the sleek hairstyle round off the look nicely. The actress's outfit is not a far cry from that of her sister Rhea Kapoor's which she wore to the Deepveer reception. If you need refreshing, it was a customised Anamika Khanna saree that Rhea had picked for the celebration, with the same line visible across the 6 yards in block letters. And then who could forget the Anamika Khanna lehenga-suit Rhea wore at a prior Ambani function? Needless to say, we were besotted then and we are now as well!